FREE Professional Development in Your Living Room! 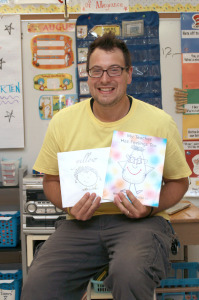 ESGI is so happy to introduce Adam Peterson, founder of Teachers Learn Too! His idea to provide FREE professional development for teachers through a series of videos is truly inspiring. How cool is it to sit in your living room and, at your convenience, learn exciting new tips and tricks to help with your instruction! Let's find out more about Adam and Teachers Learn Too. I have taught Kindergarten for the last 10 years at Saratoga Elementary School in Morris, IL. I love Kindergarten because it's where all the fun is! When I'm not teaching, my wife and our two kids love to be outdoors, play games, do crafts, and watch movies! I'm also a singer/songwriter and run a photography business on the side. Teachers Learn Too is an idea that has been in the making for a long time. I was tired of seeing presentations that were basically used as "time fillers" and wanted to make some professional development that teachers could watch and incorporate right away! I've been influenced by so many awesome presenters including Kurt Schwengel, Kim Adsit, and others. The next step for TLT is a video podcast where some colleagues of mine and I will sit and have fun discussions on everything related to education! For more information on TLT visit facebook.com/teacherslearn2 and subscribe to our YouTube channel, Teachers Learn Too! A fun fact about me, and an education success story, is that I've self-published 3 children's books! The most recent one was co-written and illustrated by my daughter Olivia! You can find all of my books on Amazon. I've been using ESGI for three years now and I love it. 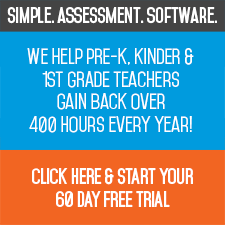 I'm not a teacher who enjoys giving so many assessments to little kiddos, but with ESGI it becomes less of a task, and more of a rewarding experience! To keep up-to-date on what is happening on Teachers Learn Too, subscribe to the YouTube channel and follow on Facebook using the links below!